The founder of Peace Mala has been nominated and shortlisted for the prestigious Annemarie Schimmel award for Championing a Muslim Cause. This is one of several awards being presented by The Muslim News in London on Monday 8th April, in the presence of the Rt Hon Sadiq Khan MP, Mayor of London; Naz Shah MP, Shadow Minster for Women and Equalities; and the Rt Hon Sir Edward Davery MP, liberal Democrat Spokesperson for Home Affairs. The Muslim News is the UK’s largest circulating and oldest British Muslim newspaper, established in 1989. The Muslim News established the awards in 2000, under the leadership of founder Ahmed J Versi, with the aim of recognising the achievements of Muslims in the UK, which often go under the radar. 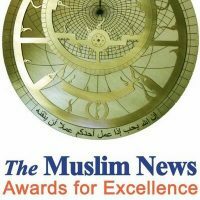 The Muslim News Awards for Excellence has now become a major fixture in the British Muslim calendar. Previous guests of honour have included HRH The Prince of Wales and numerous senior members of the Government including Prime Ministers Tony Blair and David Cameron. Nominations for The Muslim News Awards for Excellence come from the newspaper’s 150,000 plus readership, while shortlist and final judging conducted by an independent panel of judges. Nominations will be judged by a panel of experts drawn from across the UK. These individuals and groups are just some of dozens nominees that represent role models for Muslims and non-Muslims around the country. Ahmed J Versi, Editor of The Muslim News and founder of the awards, said, “These honours are all the more important in today’s landscape. They are an antidote to the negativity that surrounds Muslims. Each year, an independent panel of judges, shortlists and then selects winners in a range of 15 award categories, from media to sports, community development to education. As such, a diverse panel from all walks of life come together to shortlist and select winners from the list of nominees.The 2019 awards is no different, with a stellar line up of judges. Journalists Mars El Brogy, Shatha Khalil and Oruj Defoite join Professor Mashood Baderin and Civic Award winner Dr Tariq Abbasi. Pamela Christine Evans is a former Head of Religious Education at a secondary school in Carmarthenshire in south-west Wales. Following the 9/11 attacks, she witnessed young Muslim pupils face bullying from their peers and although this was challenged she saw the prejudice in the climate of the time soon spread to other faith minorities and visible minorities in the school. 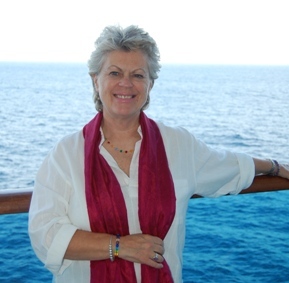 Pam acted to address this fear brought on by ignorance through education and came up with a simple but powerful hands-on project called Peace Mala. The list of personal endorsements Peace Mala has received reads like a ‘Who’s Who’ of world faith ‘heavy-weights’ including, but not limited to: the late Pope Saint John Paul II, the Dalai Lama of Tibet, His Holiness Pope Francis, Lord Williams of Oystermouth (former Archbishop of Canterbury) and Archbishop Emeritus Desmond Tutu.